After comfortably winning the first set, the Indo-Chinese duo slumped to a shocking 6-2, 1-6, 5-10 defeat at the hands of Swiss star Martina Hingis and Chan Yung-Jan of China. Image Source : GETTY IMAGES A file image of Sania Mirza. 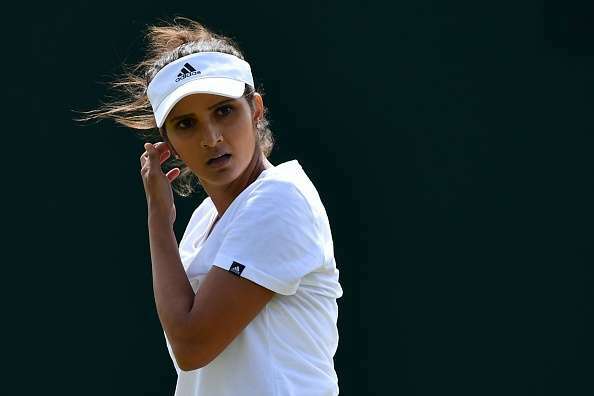 Indian tennis ace Sania Mirza and her Chinese partner Peng Shuai were knocked out of the China Open women's doubles semi-finals on Saturday. After comfortably winning the first set, the Indo-Chinese duo slumped to a shocking 6-2, 1-6, 5-10 defeat at the hands of Swiss star Martina Hingis and Chan Yung-Jan of Chinese Taipei in an exhilarating last-four clash that lasted one hour and 16 minutes. Yesterday, a third-seeded pair of Mirza and Shuai rebounded strongly from a set down to beat fifth-seeded Czech duo of Barbara Strycova and Katerina Siniakova 4-6, 6-2, 10-7 in a thrilling last-eight clash yesterday.